A new Embroidery Block of the Month to learn your embroidery machine. Join the class at the beginning of any quarter. 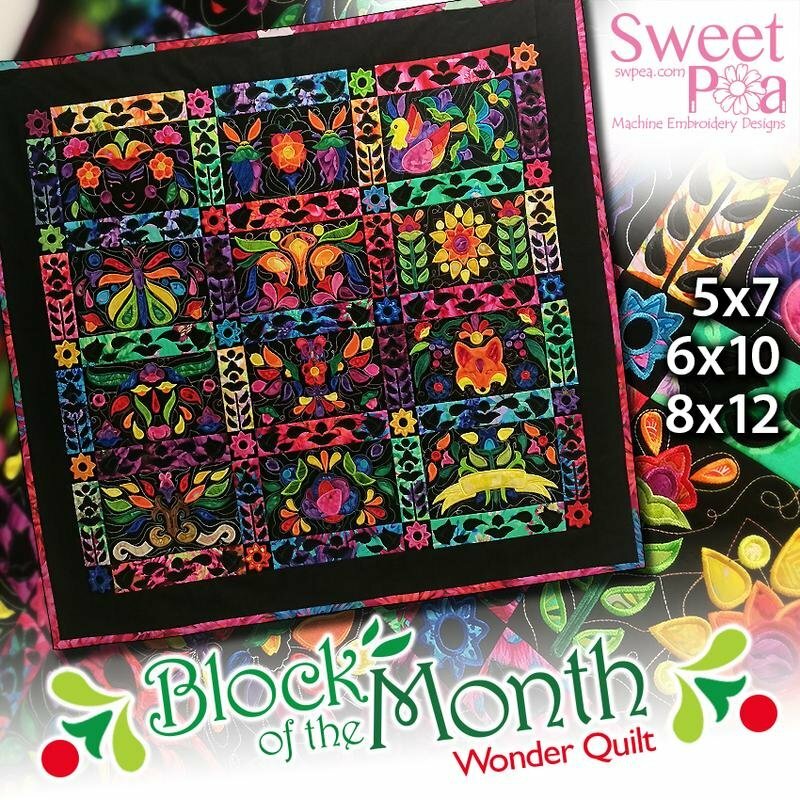 We will use Sweet Pea Machine Embroidery Designs from their Wonder Quilt collection purchased from Sierra Sewing, Quilting & Vacuums. Three sizes available; 5x7, 6x10, or 8x12-inch hoop. You will learn machine applique. This is a twelve-month class stitching out different blocks and sashing each month. You’ll start putting the blocks together after the second month.